The Union Budget for India 2018-19 was recently laid out by the honourable Finance Minister, Mr. Arun Jaitley on 1 February, 2018. His opening speech welcomed India’s growth at an average of 7.2% to 7.5% in the second half of 2017-2018. This year’s budget mainly focused on strengthening of the agricultural and rural economy, infrastructure, senior citizens, healthcare, education, transport, and other reforms. The intention of the budget this time was to uphold the value of “ease of living” than “ease of doing business”. Fiscal deficit estimated for 2017-18 is 3.5 percent of the GDP (gross domestic product) or Rs. 5.95 lakh crore. Fiscal deficit for 2018-19, is expected to be 3.3 percent. The expenditure bill for 2017-18 is Rs 21.57 lakh crore. As commitment towards welfare of farmers, there would be measures to double the income of farmers by 2022. In upcoming Kharif season, MSP (Minimum Support Price) of all crops may increase to 1.5 times that of the production cost. A fund of Rs. 2,000 crore shall be set up by the government to develop agricultural markets. Rs 2,600 crore will be provided for groundwater irrigation. Agri exports will be liberalized. Rs 500 crore will be dedicated for Operation Green to address price fluctuation and production of tomatoes, onions, and potatoes. Allocation for food processing ministry went up to Rs. 1400 crore from Rs. 715 crore. GRAM (Grameen Agricultural Market) is going to offer farmers means to sell directly to the buyers. Fisheries fund of Rs 140,000 crore for seafood industry. A total corpus of Rs. 10,000 crore will be set for agriculture, animal husbandry, and fishery. Restructured National Bamboo Mission will see an allocation of Rs. 1290 crore. Credit for agricultural activities went up to Rs. 11 lakh crore from Rs. 10 lakh crore. The budget streamlined aspirations of equipping poor people with house to live in by 2022. It also targeted to construct 2 crore toilets by the next financial year. 5 lakh WiFi hotspots are to be set up in the rural areas for providing better and easy internet access. 7 lakh km rural roads plan will be a huge boost to construction industry. Bharatmala project for better road connectivity has been approved at Rs. 5.35 lakh crore to complete 35,000 kms. Rs 5.97 lakh crore will be spent for infrastructure growth in India. To provide for livelihood of rural India, Rs. 14.34 lakh crore will be spent to build infrastructure. AMRUT programme to focus on water supply to households in at least 500 cities. There would be water supply contracts for 494 projects amounting to Rs. 19,428 crore. 100 percent tax deduction is enabled for first 5 years to companies with turnover of Rs. 100 crore and above, but these companies must be registered as farmer producer companies. Proposal laid for extending the benefit of reduced corporate rate of 25% to companies with turnover of up to Rs. 250 crore. 7000 crore revenue will be forgone for the reduced corporate tax on the MSMEs. No changes made to structure of income tax for individuals. However, a standard deduction of Rs. 40,000 applies for salaried individuals in lieu of transport and medical allowance. Other medical reimbursement for hospitalization will continue. There would be an increase in education and health cess to 4%. Textiles subsidy under TUFs is up 18% at Rs 7,140 crore. There would be an increase from 15 percent to 20 percent in custom duty levied on mobile phones and for some other mobile and television parts, the custom duty will be up to 15%. 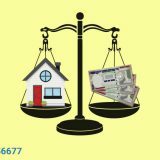 Income from capital gains in real estate: There will be no adjustment when circle rate does not exceed 5 percent of considerations. Proposal to tax long term capital gains, which exceed Rs. 1 lakh in listed stock at 10 percent. Gains grandfathered till 31 January 2018. Short term capital gains remain at 15%. SME loans sanctioning system will be revamped. 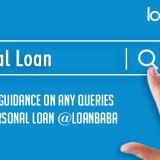 Information needed to sanction the loan shall now be linked with GSTN. All information can be referred from GSTN portal. It was announced that loans to self-help groups will be increased to Rs. 75,000 crore by March 2019. 1 crore houses under PMAY (Pradhan Mantri Gramin Awaas Yojana) will be promising for lenders. Rs 3 lakh crore was dedicated for PM MUDRA Yojana. PSU banks’ recapitalization will enable them to lend Rs. 5 lakh crore. One of the largest health programmes in the world, the budget outlined National Health protection scheme of Rs 5 lakh per family per year for 10 crore poor families and 50 crore beneficiaries, for the purpose of secondary and tertiary care hospitalization. To offer nutritional support to patients of TB (tuberculosis), Rs. 600 crore as aid was announced. A flagship programme will encompass Rs. 1200 crore for health wellness centres. Around 1.5 lakh centres will offer free essential drugs, child and maternal services. Rs. 50,000 additional benefit has been dedicated for senior citizens for investments in mediclaim. 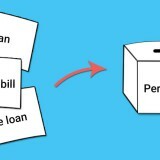 FD (Fixed deposit) and post office interest will now be exempted till Rs. 50,000. Thus, 80D benefit is enhanced to Rs. 50,000. Contribution of women reduced to 8 percent to Provident Fund in the first 3 years of new EPF accounts. 12% of EPF (Employees Provident Fund) contribution for new employees in every sector will be done by the government. Technology will be enhanced to improve educational experience. Integrated B.Ed programmes will be introduced for teachers. A scheme (RISE – Revitalizing Infrastructure in School Education) of Rs 1 lakh crore will be provided in the next 4 years to revitalize research-based education. 18 new schools to be set up for planning and architecture. Railway University was proposed in Vodadara. By 2022. Eklavya schools shall be started for every block that has more than 50 percent of Scheduled Tribe population. One medical college will be dedicated per every three constituency. By upgrading existing district hospitals, there is a plan to set up at least 24 new hospitals and new government medical colleges. Capital expenditure for the Indian Railways for 2018-19, is Rs 1, 48,528 crore. 600 major railway stations will undergo redevelopment, instalment of wifi, CCTV cameras, and 25,000 escalators. First new generation trainset will be rolled out by Integrated Coach Factory in 2018-19. Mumbai transport system will be expanded. For Bengaluru, suburban network of 160 km is planned. Rs 11,000 crore is dedicated for Mumbai rail network. Rs 17,000 crore is dedicated for Bengaluru Metro Network. An institute will be established in Vadodara for the purpose of bullet train programme training to people. UDAN will connect at least 56 un-served airports in India. The government plans to multiply the nation’s 124 airports to 5 times of this number. Proposal announced for development of 10 prominent tourist destinations to Iconic tourism destination. The government insurance companies (The Oriental Insurance Company Ltd, National Insurance Company Ltd, United India Insurance Company Ltd), will be merged into a single entity. This will be listed in stock exchange, and made a part of the disinvestment programme. There was a collection of Rs. 1 lakh crore, which exceeded the disinvestment target. Divestment target for FY19 is Rs 80,000 crore. Special schemes will be formed to address air pollution affecting Delhi-NCR region. Also, removal of crop residue will be subsidized to take care of pollution problem caused by burning of crop residue. 187 projects were sanctioned under Namami Gange programme. Emoluments of Vice President, President, and Government have been revised to Rs. 4 lakhs, Rs 5 lakhs, and Rs. 3.5 lakhs per month, respectively. The re-fix allowances payable to MPs will be revised every 5 years. Indexed to inflation, there would be revision of MPs’ emoluments, every 5 years. Government will remove stamp duty from financial transactions. Government will also use selected InvITs for infrastructure funding. The government will also explore use of blockchain in governance. Introduction of e-governance initiatives in central ministries. Sebi norms amended to provide greater freedom to levy penalties for infractions. Sebi will also see to it that corporate India uses bond market to meet 1/4 of funding needs. Bond market: Move from AA to A-grade ratings. A unified regulator announced for IFSC, Giftcity. Ujwala will provide 8 crore women with new LPG connections. Encouragement to strong RRBs to raise capital from market. Digital India: The allocation has been doubled to Rs373 crore. Commerce department will develop national logistic portal. Revamp will be initiated for regulated gold exchanges and gold monetization scheme. The government will provide each enterprise in India with a unique ID on par with Aadhaar regulations. 372 basic business reform actions have been identified, and every state have to take up these reforms, as needed. ETF Bharat 22: Dipam shalll continue with more ETF offers with debt ETF. Cryptocurrency will not be considered as legal tender in India. The government will take steps to eliminate any illegitimate use of Cryptocurrency. No announcements have been made about Cryptocurrency investment. 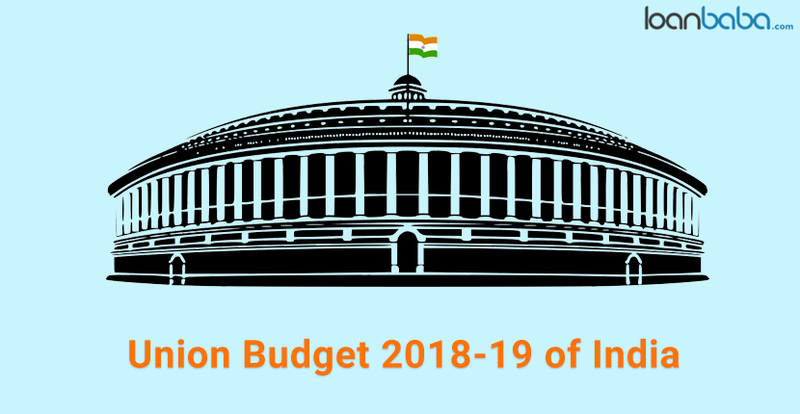 Stay tuned at Loanbaba.com for more news and reactions on Union Budget India 2018-19. Do share your opinions and views in the comment section. The Union Budget 2018-19, India focuses to cut corporate income tax rate to 25%, increase medical insurance limits and deduction for interests & lots more.